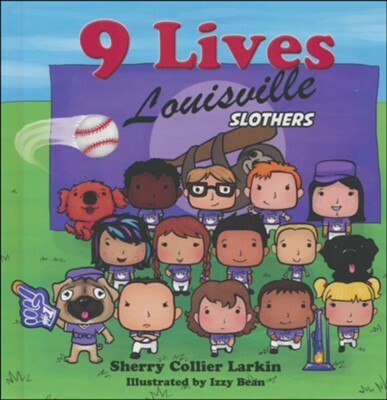 Meet the Louisville Slothers, a middle school softball team with typical kids wanting to fit in, adjusting to life as preteens, trying to figure themselves out and get along with others. This inspirational series addresses health-related issues like obesity, asthma, allergies and ADHD to social issues like bullying. Most of the kids on the team don't want to play. They need help. Who's stepping in? None other than Coach Gracie, a 12-inch long by 5-inch wide Pug. There's a lot we can learn from man's best friend (a dog) and man's ultimate best friend (Jesus). Dogs love us like Christ. All they know is love. The world sees the outward. This series inspires readers to see themselves and others as Christ does, learn to love like He loves, and witness the power of God's word when we speak life! Coach Gracie will encourage and teach about teamwork and unconditional love. They may start out losing, but when they begin to focus on Christ and allow His strength to carry them that's when they start winning! I'm the author/artist and I want to review 9 Lives.